Opening: Everyone in the forest knew that tigers were sleek, silent, and totally terrifying. When a tiger prowled through the forest, everyone found other places to be. Book Jacket Synopsis: Everyone knows that tigers are sleek, silent, and totally terrifying . . . most tigers, that is. But no one is afraid of Little Tiger. He’s just too small and clumsy to frighten anyone. Determined to prove that he is terrifying, Little Tiger sets out on tiptoe, creeping through the forest to find someone to scare. He gets yawned at and laughed at, but Little Tiger won’t give up. Is there any animal in the forest who will find him just as sleek, silent, and totally terrifying as the bigger tigers? The pacing is perfect. Each word of the text has been carefully chosen and the simplicity of the language is quite appealing. This entertaining story is highlighted with expressive and lively watercolor illustrations which add to the fun and tension. 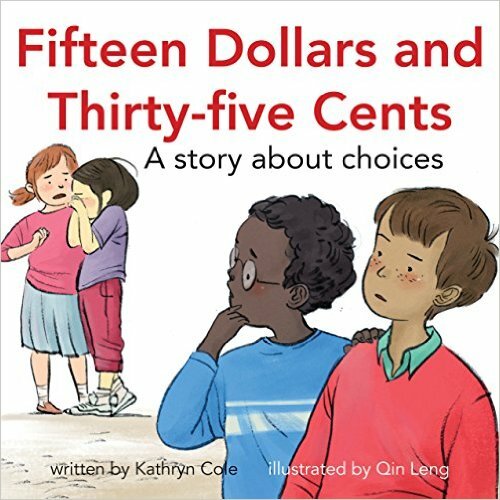 This book is a perfect classroom story-time share or an individual read-aloud. They will enjoy the anticipation and acting out the ROARS! Resources: Children will have fun acting out Little Tiger’s ROARS! Make a circle and have them parade around the room on their tiptoes and practice their quiet and loud roars. There are many other jungle animals in the story that Little Tiger meets. Ask children to move around like different animals in the story. Philippa Leathers is a freelance animator and illustrator, as well as the author and illustrator of The Black Rabbit and How to Catch a Mouse. She lives in England with her husband and their young children. Opening: I have three women who think they’re my mom. My sister Tracie has mothered me since I was three, when ours left us. Aunt Jenny steps in when an authority figure is needed and she thinks my dad’s being a slacker. Caroline, the one who gave birth to me? She sends the checks. As if middle school wasn’t hard enough, Suze Tamaki’s life gets turned upside down where her mother reappears after a ten-year absence. Once Suze gets over her shock, she thinks it might be cool to get to know her mom. But her older sister Tracie is determined not to let her back into their lives, after she walked away without an explanation. At school things aren’t much better. One of her teachers decides the way to cure Suze’s lack of motivation is to move her into Honors English — a development Suze finds both inspiring and distressing. When she’s paired with straight-A student Amanda on an English assignment, she finds herself caring about people’s expectations like she’s never done before. Joëlle Anthony’s has written a complex and heartwarming story that focuses on the impact of parental abandonment, complicated family relationships and healing. There is a great cast of quirky characters, who are believable and well-crafted. Suze, is an engaging and edgy narrator. She perceives herself as an underdog at school. But she is smart, curious, and determined character who takes risks that often land her in detention. Her older sister, Tracie, is protective and makes Suze sign a contract to never have contact with their mother. No one in the family talks about her mother, Caroline, including her father, or aunt and uncle. Her friends Jessica and Amanda provide some normalcy in her life. Readers will relate to Suze and her quest to know her mother. The plot is realistic, the tension is palpable, and the solutions flow organically. Suze wants to get to know her mother, but is a conflicted. Their first contacts are awkward. Caroline is late, leaves to make phone calls, or has to work late. She sends gifts that aren’t appropriate. But they work at their relationship and Suze begins to find answers to her questions. The pacing is a bit slow in the beginning, but it picks and keeps the reader turning pages. The ending is unexpected and very satisfying. Joëlle Anthony is the author of Restoring Harmony, The Right & the Real, and Speed of Life (writing as J. M. Kelly). Visit Anthony at her website. *I was provided with a copy of this book from the publisher in exchange for a fair and honest review. Opening: Once upon a time there lived a girl named Cinderstella. She had two stepsisters who made her work every day. But every night, Cinderstella climbed to her treehouse to be close to the stars. Book Jacket Synopsis: Cinderstella has plans for her own happily ever after and a future princess she is not. She’d rather be an astronaut. In this modern retelling of a beloved fairy tale, children are encouraged to pursue studies in science, technology, engineering, and math (STEM) fields. Cinderstella dares to be different, has a sense of curiosity, and knows what she wants. A universe of opportunities. The authors have created a meaningful and entertaining retelling of the classic fairy tale, but with an inspiring twist. The text flows nicely and rhymes in places. Cinderstella dreams of becoming an astronaut. While her stepsisters keep her busy sewing gowns for the ball, shining jewelry and styling their hair during the day, at night she studies the stars and planets and creates her own universe of dreams. She convinces her fairy godmother that she doesn’t want a gown and a carriage, but prefers a spacesuit and a rocket so that she can travel into space. Cinderstella dreams big and steps outside gender specific pursuits. Refreshing. Her interest in science, technology and becoming an astronaut, should be encouraged in young children of either gender who show an interest. Valeria Docampo’s colorful, lively and dreamy illustrations capture the wonder of what happens when you have a big dream. 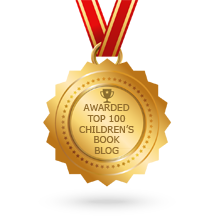 The authors and illustrator team up to produce a winning book for children. Resources: There is a Note to Readers that provides suggestions for parents, caregivers, and educators to spark children’s interest in science and to encourage the pursuit of any career despite lingering stereotypes about what boys and girls can and should do. This should help parents who may not know where to begin. Encourage kids to dream big. Take them outside to gaze at the stars. If you have a trunk of dress-up clothing for kids, add an astronaut costume. 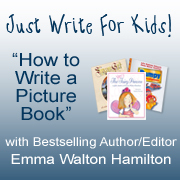 Use the book to help children draw their own space ship. Synopsis: Gerry makes home-made valentines for her classmates using glitter, sequins, glue and sparkly markers. Her mother gives her one of her father’s folders, to protect her valentines. When there is a mix-up in folders at home, Gerry needs to find another way to deliver her valentine message to her friends. Julie Andrews and Emma Walton Hamilton have written a delightful reminder that gifts from the heart are meaningful, especially when delivered by a spunky and engaging character, Geraldine. Gerry believes she is a fairy princess because “the sparkle I feel inside tells me that it’s TRUE.” It is impressive how a special word like sparkle, can convey so much self-confidence to a child. Gerry creatively personifies the power of compassion when she delivers her special sparkly message to each classmate. Her friends respond with surprise, kindness and generosity towards Gerry. This kind of authentic interaction between children just doesn’t get any better! Coming from Gerry, it is believable. 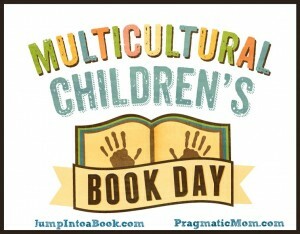 The book has a new format with bonus stickers and is perfectly suited for young readers. It is an excellent gift for Valentine’s Day. Christine Davenier’s warm, expressive and whimsical pastel illustrations beautifully capture the compassionate tone of this timeless story of friendship for children. Make sure you check out the other seven books and two Early Readers in the New York Times bestselling Very Fairy Princess series. The books hallmark self-confidence, creativity, problem-solving and radiate inner sparkle. They can be read in any order, but I encourage you to start with the very first book — that is where all the magic begins with Gerry, a passionate and memorable character. They are beautiful gift books. 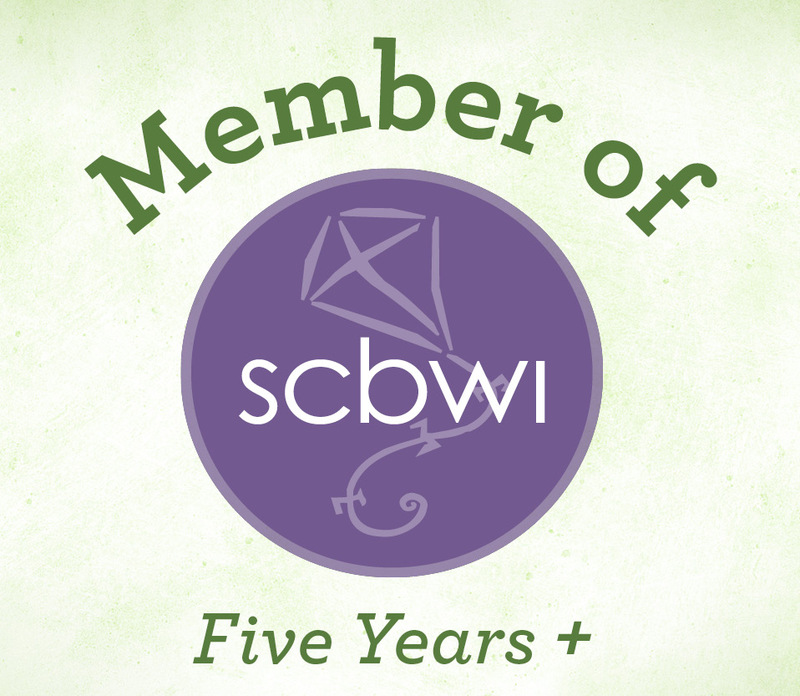 For more information, visit the Julie Andrews Collection and Emma Walton Hamilton’s website. Opening: Meet Stickley. He’s a frog. Every day he wears shorts and a fancy bowtie. 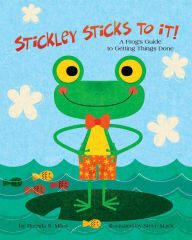 Book Jacket Synopsis: Stickley the frog has the gift of stick-to-it-ness. His sticky toes help him stick to windows, ceilings and surfboards — even under plates! But Stickley’s toes aren’t the only way he sticks to things. His attitude helps him stick with projects — no matter how frustrating or hard they may be — so he can reach his goals. 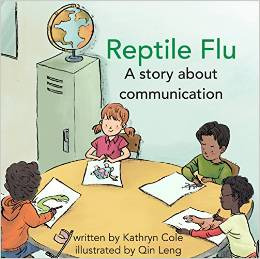 This is a clever and upbeat story that introduces children to the idea of sticking with a task or challenge and seeing it through to completion. This ultimately helps children feel proud about what they are doing. 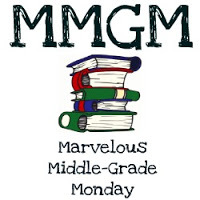 There are many humorous examples of Stickley participating in a science fair, a spelling bee and giving a speech. Some projects require Stickley to take his time, test his patience, make him look at what he’s doing from a different perspective, and sometimes start over. This is an excellent book for teachers to use in the classroom with students. I can see many great questions and lively discussions with students. Steve Mack’s illustrations are colorful, whimsical and expressive. They are entertaining and add to the story’s appeal. Resources: The book includes a lengthy Note to Parents, Caregivers, and Teachers with more information about perseverance and strategies for encouraging children to plan, take breaks, ask for help and work with others to complete a task. Opening: Ringmaster Rick was excited for the big show at Circus Town! He visited the big tent to see all the performers practicing their acts. 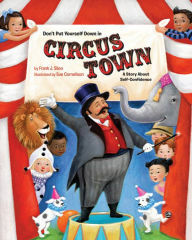 Book Jacket Synopsis: Welcome to Circus Town, where it’s okay to bumble, stumble, and fumble. But no put downs! Give yourself a break! Everyone makes mistakes! Join Ringmaster Rick, Larry the Lion Tamer, Polka Dot Patti, and world-famous trapeze artists Jan and Juanita as they practice more, ask for help, think helpful thoughts, and bounce back from mistakes and mishaps to feel more confident! Ringmaster Rick calls an emergency meeting after overhearing Circus Town’s several performers put themselves down for mistakes made while rehearsing their acts. “I’m the worst lion tamer…I can’t do this!…I am such a loser!…I’m such a klutz!…” Does this self-defeating statement sound familiar? 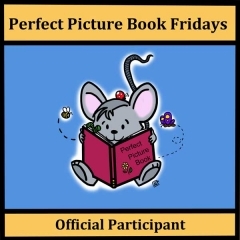 This realistic story about making mistakes is something children can relate to as they participate in sports, dance, painting/drawing, practicing a musical instruments, helping in the kitchen and doing chores. I especially resonate with author Frank Sileo’s themes, “anyone can make a mistake and that self-defeating behavior is like bullying yourself.” Sue Cornelison’s illustrations are bold, colorful and very expressive. They set the mood for the story and change as the story progresses. This is another important book for parents to have at home and for teachers to put on their bookshelves to help boost self-esteem in children. Well done! 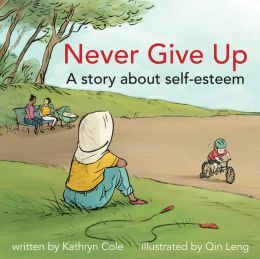 Resources: The book includes a Note to Parents and Other Caregivers with more information and strategies for fostering self-confidence in children and helping them develop positive feelings and beliefs about themselves. Book Jacket Synopsis: In all the ways that matter, Mark is a normal kid. He’s got a dog named Beau and a best friend, Jessie. He likes to take photos and write haiku poems in his notebook. He dreams of climbing a mountain one day. But, in one important way, Mark is not like other kids at all. Mark is sick. The kind of sick that means hospitals. And treatments. The kind of sick some people never get better from. So Mark runs away. He leaves home with his camera, his notebook, his dog, and a plan. A plan to reach the top of Mount Rainier. Even if it’s the last thing he ever does. 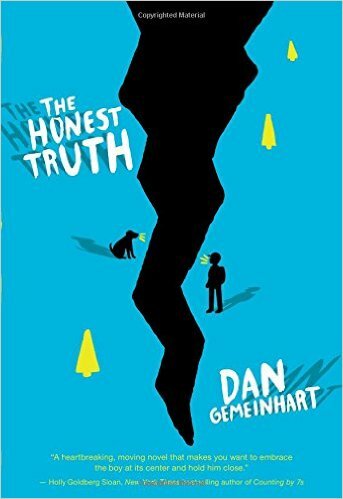 Debut author Dan Gemeinhart has written a powerful and inspiring novel about a 12-year-old boy who has cancer. Mark’s dealt with chemo treatments since he was five years old. His options are running out. He’s angry. He’s lost. His parents and doctors are making decisions for him. Mark feels out of control and wants to make some choices about his life — and that may include how he dies. He confides his pain and secrets to his best friend, Jessie. The setting is realistic to the Pacific Northwest and the unpredictable weather. The theme is raw and honest. The plot is fraught with danger and obstacles. Mark runs away with his dog, Beau, and embarks upon a journey to climb the summit of Mount Rainier — a dream he can focus on. His choice may seem selfish because of the pain and worry he causes his parents. He also creates a dilemma for his friend, Jessie –does she tell his parents or keep his secret. And he puts his dog and himself at risk during a dangerous snowstorm on the mountain. Mark, Jessie and Beau are memorable characters. Beau is devoted and protective of Mark. The alternating chapters, with Jessie’s occasional half chapters, works well. You hear about Mark’s parents anxiety and pain through Jessie. But, you experience Jessie’s struggle to interpret what Mark wants her to do. Does she share her suspicions with his parents or honor her friend’s request. It took Gemeinhart guts to write a book with such depth. It is a tough book to review, even though it grabbed me from the first page. Mark grapples with life and death questions as he works through anger and fear. Which will he choose? The Honest Truth will make readers think. It is an excellent classroom discussion book for teens. 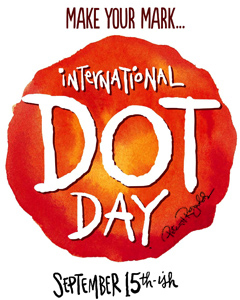 Thank you Greg Pattridge! I won The Honest Truth in a giveaway on Greg’s website, Always in the Middle.